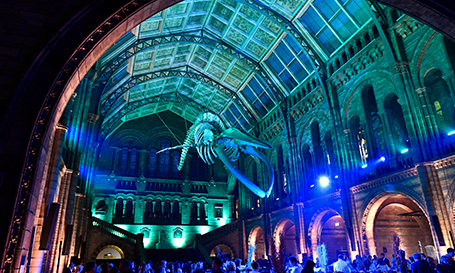 Located in South Kensington, the Natural History Museum is one of London’s most iconic venues. 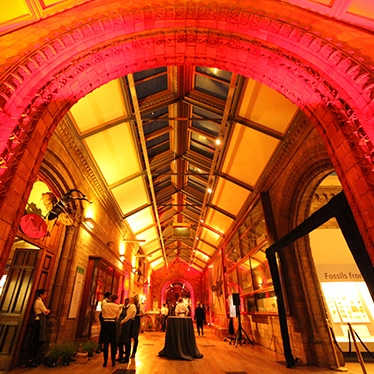 Its magnificent architecture and collections create the perfect backdrop for any event. 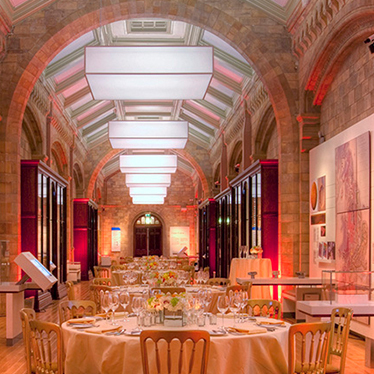 From informal and intimate to creative and spectacular, the Museum’s variety of spaces will suit any corporate event, private party or wedding. 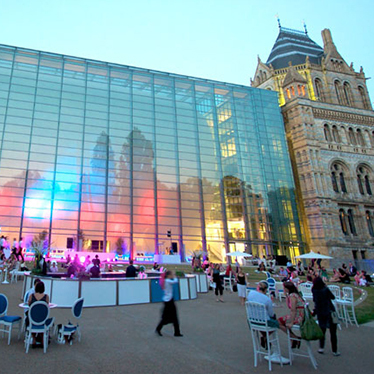 The Museum first opened its doors on 18 April 1881, but its origins stretch back to 1753 and the generous offer of a renowned doctor, Sir Hans Sloane. 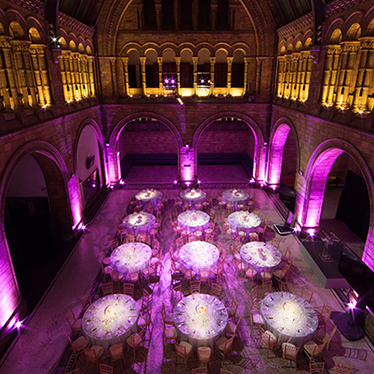 One of London’s most iconic venues creating the perfect backdrop for your event. 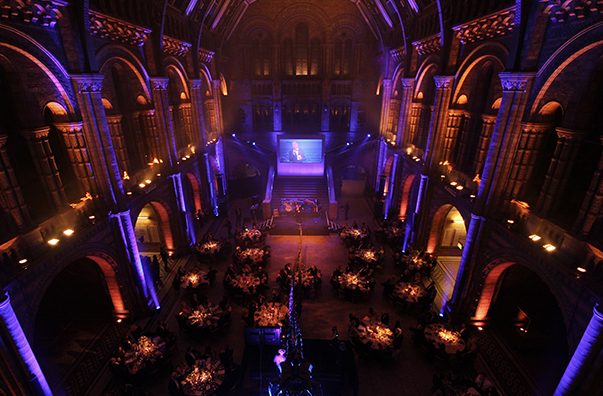 On July 13th, WL provided technical support on Hintze Hall reopening at the National History Museum, London. 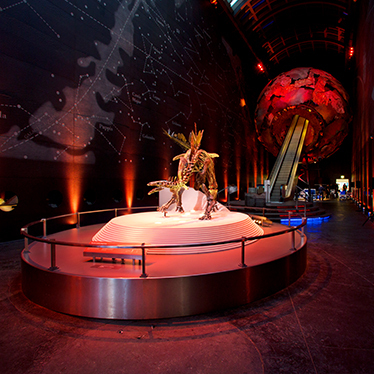 The Hall has been one of the Museum’s pivotal spaces since it first opened in 1881 and this reopening marks one of the museum’s largest transformations in its 136 year history. 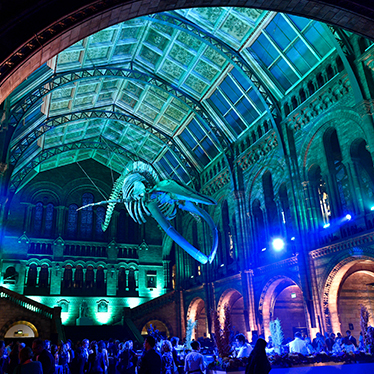 The evening also saw the unveiling of the new centrepiece within the space – a stunning 25.2 metre real blue whale skeleton. 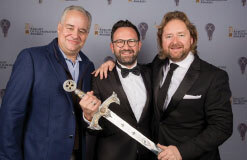 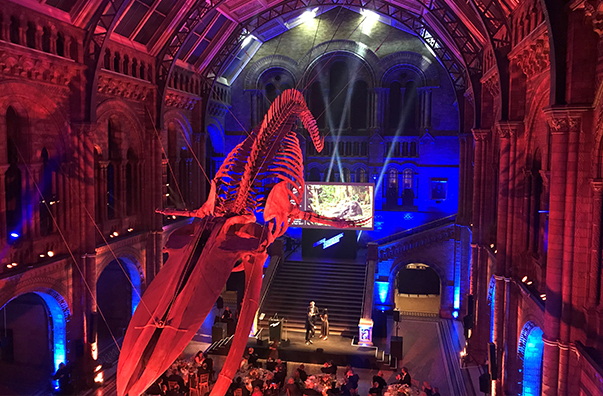 As an approved supplier to the Natural History Museum, White Light was called upon to provide the complete technical solutions for the occasion. 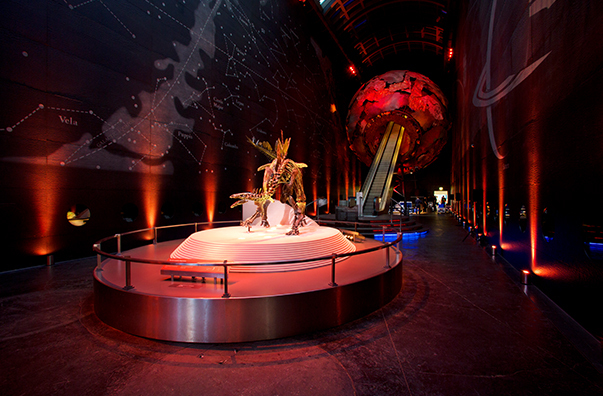 The Natural History Museum is one of the world’s most historic museums, home to more than 80 million items from the world of natural and science history. 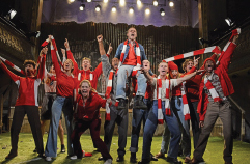 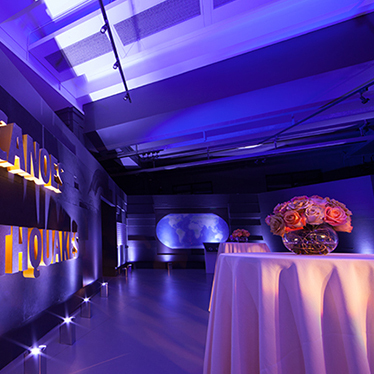 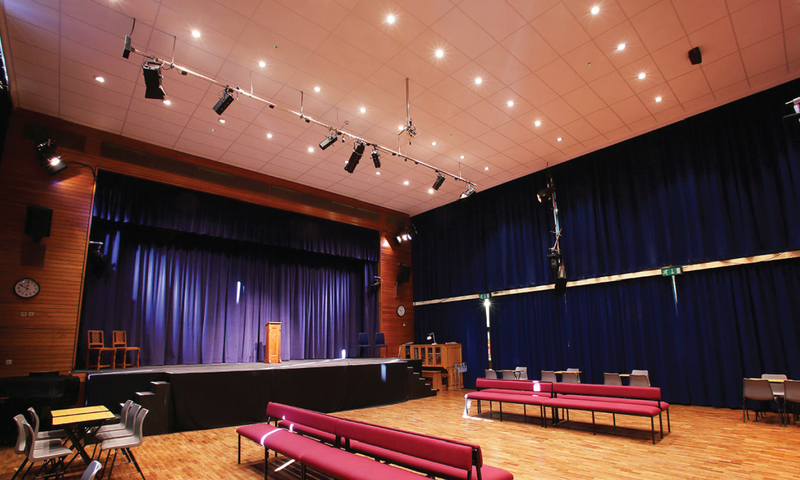 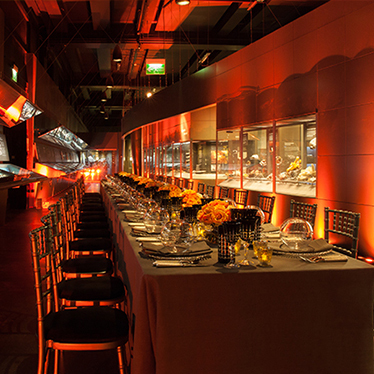 As well as hosting a range of iconic exhibitions, the venue can also be used for private events. 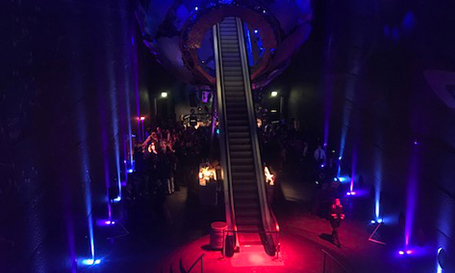 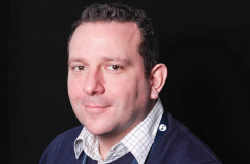 As an approved supplier to the venue, White Light has been called upon to provide the technical support on the venue’s Earth Hall Christmas parties.